These are original replacement filters made by the Love-Less Ash Co. These are designed solely for the Love-Less Ash Cheetah II & Cougar/Cougar+ ash vacuums and will not work with other vacuums. Made in the U.S.A.! Made by Love-Less Ash for the Love-Less Ash Cheetah II and Cougar ash vacuums. 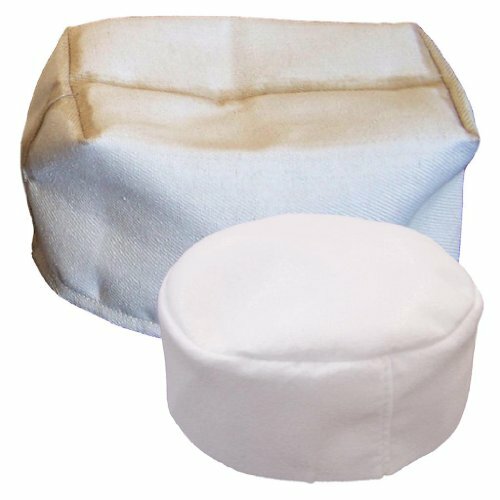 Contains two fire-retardant filters, primary and secondary. Primary filter is the outside filter that goes around your motor. Secondary filter is the smaller filter which goes underneath the primary filter. If you have any questions about this product by Dustless Technologies, contact us by completing and submitting the form below. If you are looking for a specif part number, please include it with your message.